There’s still time to sign up for our special webinar on How to Finance Your Medical School Journey! 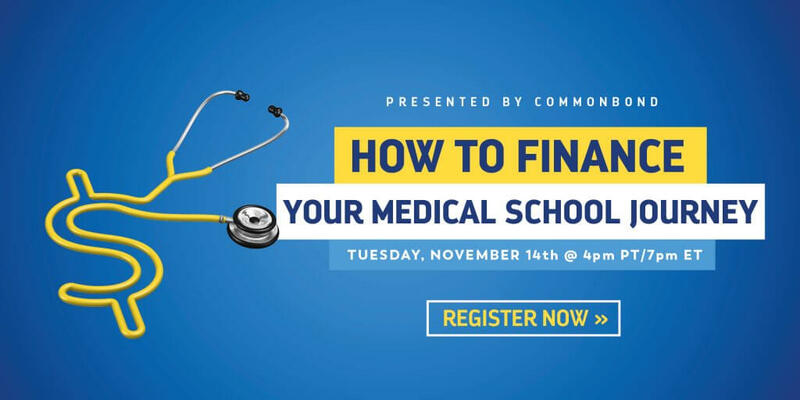 Don’t miss this special opportunity to learn the ins and outs of the medical school financing process. We’ve worked with our friends at CommonBond to bring you this one hour webinar on how to navigate the student loan process – including your repayment options, refinancing, and more. The webinar is free, but you must reserve your spot. Sign up now. It could save you thousands of dollars.